The Minister of State for Petroleum, Dr Emmanuel Ibe Kachikwu has denied the knowledge about any plan by Exxon Mobil, operators of Mobil Producing Nigeria unlimited to stop operation in the country. Kachikwu, who spoke with Journalists in Yenagoa, Bayelsa State on Thursday during the 2019 Nigeria Oil and Gas Opportunity Fair (NOGOF), said that he heard it as a rumour, stating that he would engage stakeholders of the oil giants by next week to know if the information is true. He also expressed the commitment of his ministry to ensure that modular refineries thrive in the country in order to encourage local manufacturers in the oil and gas sector. Earlier, the Executive Secretary of Nigerian Content Development and Monitoring Board (NCDMB), Engr. Simbi Wabote, reinstated the commitment of the board to drive policies that will encourage modular refineries in Nigeria as one of the measures to support local manufacturers in the oil and gas sector in the country. According to him, the Board has the commitment to drive policies of modular refineries to support local manufacturers in the oil and gas sector, because several opportunities abound in the industry. Wabote said: “In our pursuit to ensure that critical infrastructures are domiciled in Nigeria, NCDMB has identified technical capacity development as one of the strategic areas for our 10 years development plan. “Some of the key initiatives of the Board in the area of infrastructure includes the Nigerian oil and gas scheme and the research development. That is why we are excited that the Ministry of Petroleum has domiciled a ‘Project 100′ management office in NCDMB. This is an initiative we truly believe in to develop the human capacity for the industry. “There are multiple of opportunities in the oil and gas industry, the international energy agency submits that the global oil demand will increase as the world is not ready to wear itself off.” He said. 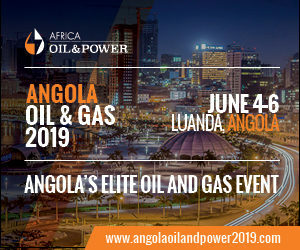 The 2019 NOGOF which has as its theme, “Maximizing Investments in the Oil and Gas Industry for the Benefit of Nigerian People” is being attended by over 1000 delegates from the oil and gas sector.